In May this year, a serious leak of ammonium coolant caused an emergency on the International Space Station. There was only one way to fix the problem: to go out into the vacuum on a spacewalk. 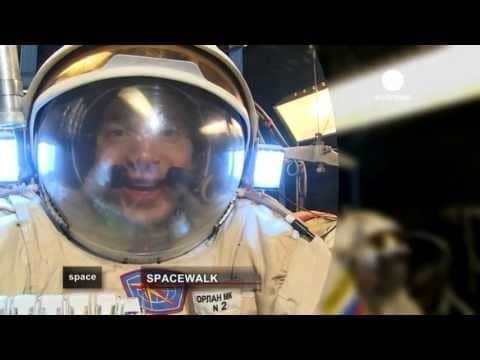 In July, ESA astronaut Luca Parmitano had to cancel a scheduled sortie into space after just an hour and a half of work after water leaked into his helmet. In both cases the astronauts and ground control dealt with the situation with astonishing cool considering the high stakes environment they were working in. The history of the spacewalk is almost as old as the space race itself. In 1965, Soviet cosmonaut Alexey Leonov became the first human to walk in open space. Many since have followed in his footsteps. For Leonov, learning to spacewalk is essential for any space faring nation. Nowadays, so-called “extra-vehicular activity”, or EVA for short, is an ordinary part of life and work for astronauts. Most ISS expeditions include spacewalks, typically lasting five to six hours. ESA astronaut Christer Fuglesang has performed five spacewalks, spending a total of 32 hours in open space. Every spacewalk starts on Earth at the Neutral Buoyancy Laboratory in Russia’s Star City. We joined ESA astronauts Samantha Cristoforetti and Alexander Gerst as they prepared for a dive. After a short briefing and medical check-up, the pair quickly examine their space suits. The underwater suits, almost identical to those used for EVAs, enable their users to breathe, move and maintain a normal body temperature in the extreme conditions of space. It is the combination of 50 years of technological improvement. The first lessons were learned from Alexey Leonov’s pioneering spacewalk, a mission that almost ended in tragedy. The airlock on Leonov’s ship, Voskhod 2, was a cloth tube, barely wide enough to crawl through. It had to be compact to be compatible with the existing rocket. After a few minutes in open space, Leonov found that his spacesuit had ballooned from its internal pressure, stiffening to the point where the cosmonaut could not bend his joints. Unable to re-enter the airlock, he made a risky decision to open a valve in his suit and bleed some pressure off. All Russian spacesuits, including Leonov’s, were and are designed and made at a company called Zvezda. A modern Orlan spacesuit has a solid metallic torso. Its newest model, the Orlan-MKS, can automatically regulate the temperature inside. Euronews was granted exclusive access to the Zvezda labs where the new prototype is being tested. Engineers simulate the open space environment inside a large thermo-vacuum chamber, so that astronauts can get used to pressure differences. Feeling confident is crucial on spacewalks, where things do not always go as planned. Whether their upcoming flights will include any planned spacewalks or not, all astronauts should be able to leave the station and perform maintenance operations wearing a spacesuit. In training, like in a real spacewalk, astronauts have to always keep an eye on their own and their crew mate’s safety. It’s tough. Learning to work in the void can be exhausting. But the training brings the astronauts closer to that most extraordinary dream: the chance to truly walk in space.